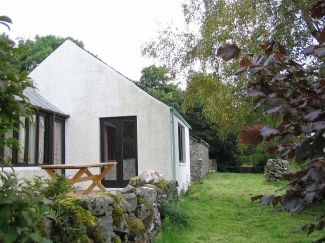 A fabulous base for exploring Galloway and South Ayrshire. 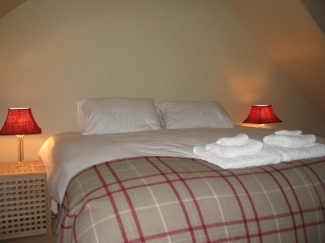 Carsebuie is both cosy enough for a romantic break and large enough for gatherings of family and friends. 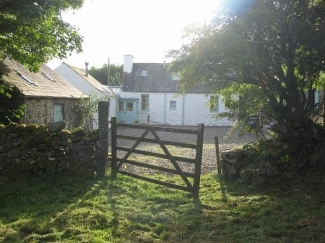 Recently resurbished and equipped to provide modern comforts and facilities inclduing a fitness room Carsebuie retains its traditional country cottage charm. The ever changing views and diverse wildlife that visit the 1.5 acre rambling garden and woodland are sure to delight you. Within easy driving or cycling distance you can reach the following attractions: Galloway Forest and visitor centres, the famous 7 Stanes mountain bike trails, the Galloway Hills for a vast range of walking and climbing choices, the Solway Coast and its beautiful quiet beaches, up to 30 golf courses including the famous Turnberry courses within 45 minutes drive, numerous gardens many with exotic plants and places to buy them, wildlife parks, ice cream maker and adventure playground, Wigtown with 24 secondhand and rare bookshops, Castle Douglas famed for its large fine food businesses, and Kirkudbright the artist's town, not forgetting Bladnoch distillery, Scotland's southernmost active distillery, restaurants, pubs and tea rooms. With so many outdoor activities on offer and interesting places to visit you will be spoilt for choice. Although not modified for wheelchair access, with just one step into the cottage and 2 bedrooms and bathroom facilities on the ground floor (including a modern tiled wetroom) less agile visitors can enjoy a fun or relaxing time without having to go upstairs. A table tennis table in the games barn across the courtyard is popular with youngsters and adults alike and there is also a childrens play area if you need a bit of peace and quiet. A selection of books, music and games are provided and there is a DVD player and wireless broadband access if exploring the natural environment gets too much for them. 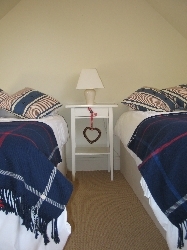 From the comments we have received from our guests every single one of our visitors has loved this cottage and wherever possible we have heeded all our visitors suggestions in order to provide everything you will need for a relaxing and thoroughly enjoyable break. 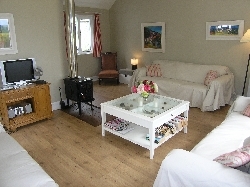 SHORT BREAKS available in low season between late October/early November and end of March excluding school holidays. Mid and peak season short breaks available within 4 weeks of booking period. Weekend breaks start on a Friday � Midweek breaks start on a Monday. i.e. a midweek break of 4 nights costs the same as a 3 night weekend break. 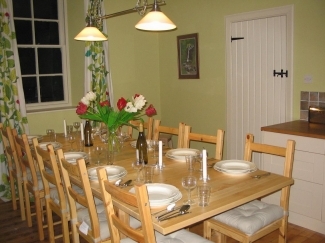 Final cleaning: Guests may choose to clean the cottage themselves or avoid the last minute panic and opt to have a leisurely breakfast and pay for a final clean instead! A final clean can be booked before you leave, usual rate �25-�30. Dogs: Max 2 well-behaved dogs allowed in the cottage by arrangement only. Room for additional dogs in the stone barn if required. �20 per dog per week or part thereof. 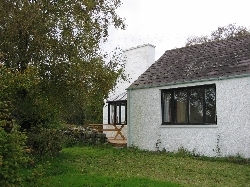 A 20% DISCOUNT is available to COUPLES staying at Carsebuie. See terms and conditions at the time of booking. 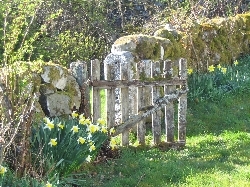 A 10% DISCOUNT off usual rates is available to all return ESCAPE TO GALLOWAY GUESTS. 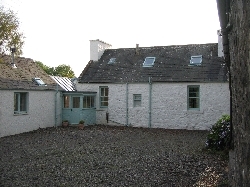 Previous visitors to Pavilion Cottage, Garlieston also qualify. Unless otherwise agreed, a 25% booking deposit or maximum �250 whichever is the lower is payable for holidays booked at least 6 months in advance. Holidays booked less than 6 months but more than 8 weeks in advance pay a 50% booking deposit. Holidays booked less than 8 weeks in advance - the full booking rate is payable. * Please allow up to 3 weeks for cheques to clear. All last minute bookings must be paid by debit or credit card. Final balance is due 8 weeks in advance of the booked holiday. A �200 refundable security deposit is taken at the time the final balance is due to safeguard against breakages additional cleaning and damage. A final clean may be booked during your stay usually no more than �25. See terms and conditions at time of booking. PLEASE NOTE: due to the options available for selecting distances on this website all distances are approximate to the nearest 10km. Please call for more accurate distances.